Spring is in the air which means summer is just around the corner. I love warmer weather, but in many places the warmer weather brings out the winter-pale skin, frizzy hair, and dreaded make-up melt! I'm all about promoting confidence, but sometimes it can be hard to feel confident about how you look. Today I am sharing some tips on feeling confident and looking good all summer long without extra effort or a lot of money! 1. Work with that humidity hair-not against it! If you have wavy/curly hair like me, pack away your straightener for the summer. It's useless, time-consuming, and bad for your hair. Some of my go-to hair styles to fight humidity are a simple ballerina bun, styling those natural curls, and doing beachy waves. 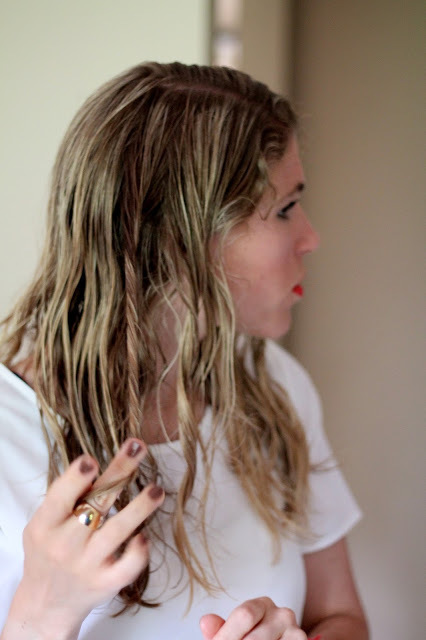 Beachy waves can be done with straight to wavy hair and are so easy! Just spray sea salt spray into hair while wet. Twist sections around the crown of your head and let air dry. Touch up sections with a curling wand if desired. 2. Use bright colors and printed shorts to add interest to your outfit. 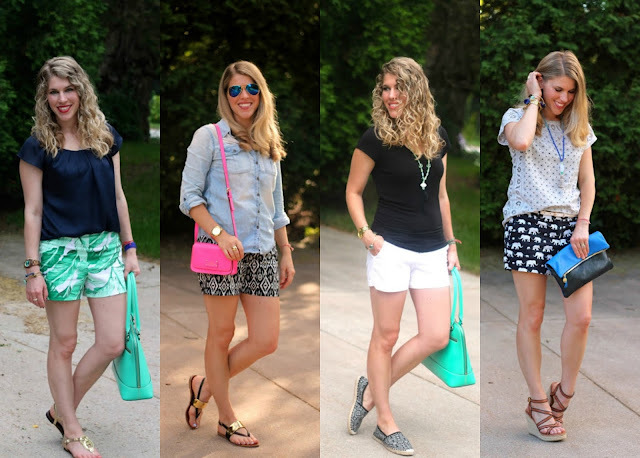 While I love layering to add outfit interest, that just doesn't work in the summer months. Instead, I like to use punches of bright color and/or printed shorts to help look put together. Printed bottoms look purposeful and fun even when paired with a neutral top. They really add more oomph to an outfit than a printed top. Jean shorts are a wonderful staple, but when I want to feel more confident about my look, I definitely pull out one of my printed shorts. 3. Use the summer make-up melt as a chance to go more natural with your look. What's the point in putting in the time and effort into make up that will melt the second you head out the door? Take advantage of the summer heat, show off that golden summer glow, and do a lightweight, more natural look. Most days my summer make up routine includes a BB or CC cream, coverup, mascara, and a touch of gloss. Because I layer up with SPF, my face does not take on the golden glow of summer. But that's ok, because I use JERGENS® Natural Glow® FACE Daily Moisturizer with Sunscreen Broad Spectrum SPF 20 to help me build a gradual glow! There is nothing like a gorgeous tan without the harmful UV rays to help you achieve that natural sun-kissed look and for me, it all starts with glow facial moisturizer. Just use daily (avoiding eyebrows and blending into jawline and hairline) until you achieve desired color. You should see a difference in 1-2 days. 4. 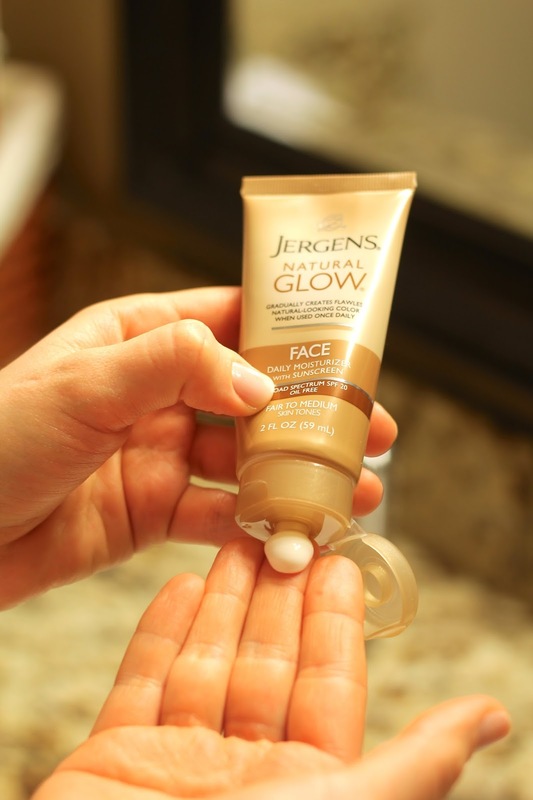 Get that gorgeous summer glow all over with JERGENS® Natural Glow®. Looking sun kissed always helps boost confidence when you are showing extra skin in the summer. But as I am careful with sunscreen, I rarely get past the pasty white stage. And with all my running I get funny tan lines when I actually do get a slight tan! I used to be so embarrassed about my tank top lines, sock tan lines, and shorts tan lines! JERGENS® Natural Glow® +FIRMING Daily Moisturizer helps alleviate that and helps to firm all that skin I am showing, too! By applying in spring and early summer you can get a golden glow and later in the summer it helps to even out any ridiculous tan lines (no one wants sock lines or shorts lines when putting a bathing suit on!). Firming glow moisturizer is easy to use and I've been using it for years. Some tips I've learned over the years are to make sure you exfoliate before use and apply very lightly over elbows, knees, and ankles. I actually avoid my ankles and apply very lightly to the top of my feet. If your skin is dry like mine, try applying moisturizer first, then use JERGENS® and wash your hands as soon as you are done. It's important to choose the right shade based on your natural skin tone as well. You begin to see color in a day or two and once you achieve your desired level of color you can maintain the color by applying only 1-2 times a week. 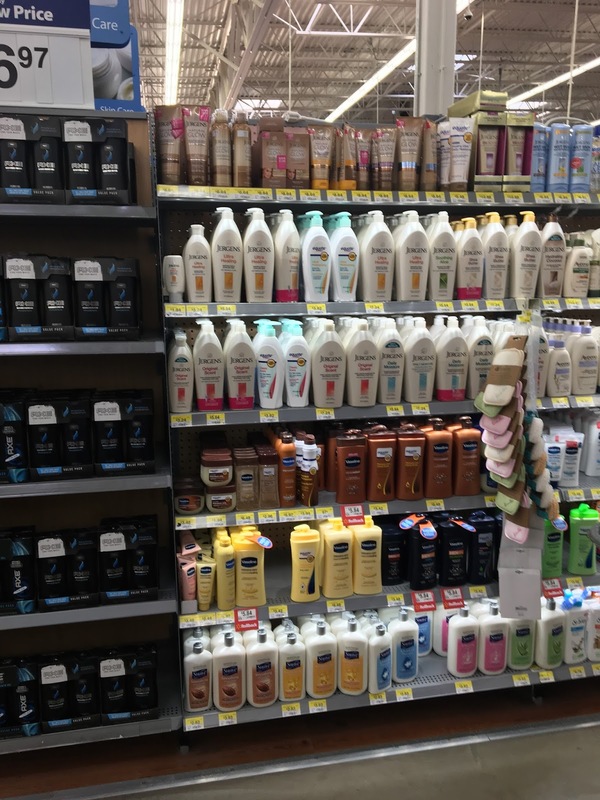 JERGENS® is easy to find at your local Walmart. My store had a buy 2, get $3 off any full size Jergens® Natural Glow® Product offer (excludes trial and travel sizes). You can also find it online here. 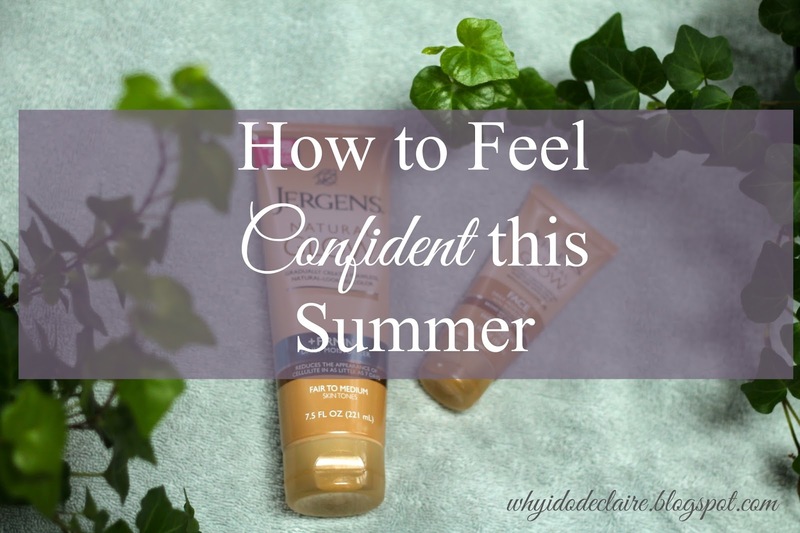 How do you stay confident all summer long? Does a golden glow help you feel more confident showing extra skin? gorgeous tips, my hair is my biggest concern during the summer. love the jergens and have used that stuff for years. great tips, girl! Great tips! I gotta add a bronzer to my daily routine, I am so white. Love seeing the different versions of your hair! These are great tips! 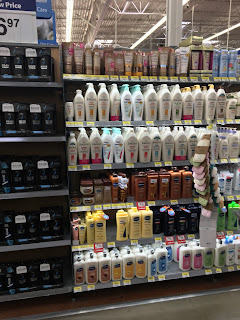 I love Jergens and need to stock up on some now that the weather is getting warmer! These are such great tips! Have a great week! Great tips Laura! I need to work with the humidity and embrace my curls more. Great post! There's nothing like a little glow for summer! And I need more shorts in my life. Ha! I have used Jergens Glow and I love it! Your hair always looks great curly or straight! I've actually used this before, and it really did work! I was shocked haha. As someone who is super pale, but doesn't want to tan, this product is a pretty great middle ground. Great tips! I love Jergens and use it all year long. I haven't tried the face lotion though. I love when you rock your naturally curly hair in your posts, so I love your summer posts! I try to start using Jergens usually in the Spring to start developing a gradual faux-glow. I'm so excited for warm weather to arrive! These are great tips! The Jergens sounds like a great product for getting a nice glow without the harmful rays. I usually look a bit pasty white mainly because most sunscreens make me breakout except for the all natural (hence the white cast) ones. Great review. I have always loved Jergens so I definitely need to give these two products a try especially since they are a steal at Wal Mart. Also, can you please tell me what is a BB and a CC cream? Style-wise you look so cute in all of those shorts. So bad I missed out on the elephant ones.